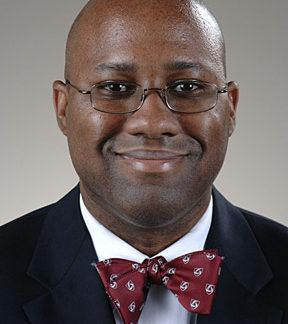 Mallory Williams, MD, MPH, is chief of the Division of Trauma & Critical Care and director of the Surgical Intensive Care Unit in the Department of Surgery at Howard University Hospital. Dr. Williams has authored 30 peer-reviewed manuscripts, textbook chapters, and commentaries. His awards include a Harvard University Presidential Scholarship (2008), the Wayne State University/Detroit Medical Center Surgery Resident of the Year (2004) and Teacher of the Year (2006) in recognition of his commitment to an academic approach and an excellent pedagogy. He has also been awarded the teacher of the year award by both the residents and medical students at the University of Toledo College of Medicine. His research efforts have been recognized by several surgical societies.